Here is the cover for Serial Homicide Unit. With a little luck, I’ll be able to start shipping these before the calendar says “2009.” More details on preorders to come! I like the cover a lot! Looks like part of the opening credits for a crime series on USA. Grittier than CSI, not quite as tied to convention as Law & Order. Hi, my name is Leonardo and I’m an italian role player (so, sorry for my poor English 🙂 ). First of all, congratulations! 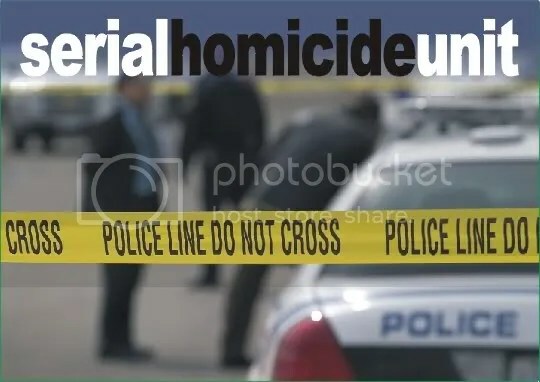 I’ve recently watched the US version of the “Touching Evil” TV series (2004, the one starring Jeffrey Donovan and Vera Farmiga) and the title of your game immediately reminded me of that show: your Serial Homicide Unit sounds a little alike the OSCU (Organized & Serial Crime Unit) featured in that movie. US Touching Evil was one of the best TV series I ever saw on television and if your game helps to tell stories permeated by a similar atmosphere I will be one of the happiest guy in the world 😉 . Best regards and good luck! Sweet. Best of luck getting it out! Can’t wait to see it! How did I not see you friending me on LJ? I shall now stalk you like a mad stalker.